M: Give thanks to the Lord, for he is good; his love endures forever. C: Save us, God our Savior; gather us and deliver us from the nations, that we may give thanks to your holy name, and glory in your praise. M: Praise be to the Lord, the God of Israel, from everlasting to everlasting. The entire congregation can sing the first two songs. “I Lift my Hands” is best suited for the worship team or praise band. 1. “My life is in You Lord” captures the heart of the psalm writer. We are to put our trust in the Lord. M: deliver me in your righteousness. C: be my rock of refuge, a strong fortress to save me. M: Since you are my rock and my fortress, for the sake of your name lead and guide me. C: Keep me free from the trap that is set for me, for you are my refuge. M: I will be glad and rejoice in your love, for you saw my affliction and knew the anguish of my soul. C: You have not given me into the hands of the enemy but have set my feet in a spacious place. C: all you who hope in the Lord. To those ravaged by evil, by earthquake, by flood, by pestilence, by terrorism, by death, by disease, by persecution, by famine, by dictatorship, by war, by natural disaster, by crime, by fire, by wind, by rain; behold, take heart for there is a healer. Isaiah 58:8 – Then your light will break forth like the dawn, and your healing will quickly appear; then your righteousness will go before you, and the glory of the Lord will be your rear guard. Ephesians 3:16 – I pray that out of his glorious riches he may strengthen you with power through his Spirit in your inner being. From Genesis to Revelation, we read of God strengthening His people. When the Israelites passed through the Red Sea, they praised the Lord, saying: “The Lord is my strength and my song” (Exodus 15:2 NIV). Nehemiah 8:10 – Do not grieve for the joy of the Lord is your strength. Healing is a powerful sign to the world that God is real, that He is compassionate and that He is sovereign and reigns over all. Ephesians 2:6-7 – And God raised us up with Christ and seated us with him in the heavenly realms in Christ Jesus, in order that in the coming ages he might show the incomparable riches of his grace, expressed in his kindness to us in Christ Jesus. We are surrounded by an immense cloud of witnesses, an army of believers, and a legion of angels, throughout this fight, which is one of God’s best gifts to us. Psalm 46:1 – God is our refuge and strength, an ever present help in trouble. Psalm 27:1 – The Lord is my light and my salvation. Whom shall I fear? The Lord is the stronbghold of my life; of whom shall I be afraid? Deuteronomy 33:25 – As your days, so shall your strength be. Hebrews 13:15 – Through Jesus, therefore, let us continually offer to God a sacrifice of praise—the fruit of lips that openly profess his name. Psalm 121:1-2 – I lift up my eyes to the mountains—where does my help come from? My help comes from the Lord,the Maker of heaven and earth. We will praise Him in this storm! Whatever you’re going through, God is with you. We must never calculate a situation without adding in the faithfulness of God. God is in the business of doing the impossible. Isaiah 26:4 – Trust in the Lord forever, for the Lord, the Lord himself, is the Rock eternal. We proclaim Jesus as Lord of All! C: for theirs is the kingdom of heaven. C: for they will be comforted. C: for they will inherit the earth. C: for they will be filled. C: for they will be shown mercy. C: for they will see God. C: for they will be called sons of God. M: Blessed are you when people insult you, persecute you and falsely say all kinds of evil against you because of me (Jesus). Traditional: “Speak, O Savior; I Am Listening”, CW283, text by Anna Sophia, music by Johann Schop. I have the guitar chords for this tune if any one is interested; email me at sjbrown58(at)yahoo(dot)com. Blended: “Speak, O Lord”, CWS735 by Keith Getty & Stuart Townend. This song is included in our hymnal supplement and lyric-wise is similar to the above mentioned hymn. Both songs do an excellent job at describing our listening to Jesus’ words as He speaks his sermon. Contemporary: “the Beatitudes” by Michael Schroeder and/or “Unwavering” by Matt Maher. Actually, in my opinion, both of these songs are better than either “Speak, O Lord” or “Speak, O Savior; I Am Listening” for this occasion because they basically take the Beatitudes text and set them to music; especially Schroeder’s song. As a musician in a church band, you need to know who’s taking the lead in each song so that you musically don’t step on each others toes. In general, songs can be classified as being either guitar-driven or piano-driven. Guitar driven songs are usually in the “sharp key signatures” such as E, D, A and G while piano driven music is usually in the flat keys such as F, Bb, Eb and Db. We fight tooth and nail over the key of C (just kidding but they can go either way). Guitar driven songs usually have only one or two chords per measure and the guitarist is usually doing something other than strumming chords, while in piano driven music the chords are usually complicated and can even sometimes change on every beat. 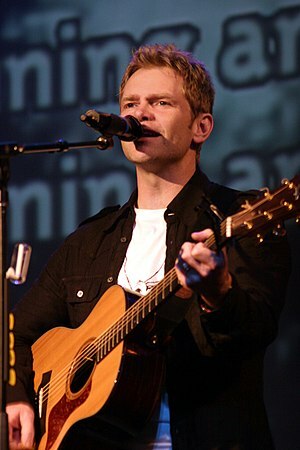 An example of a guitar driven song would be “Everlasting God” by Brenton Brown and Paul Baloche. You can hear Brown teach this song in the video below and pay particular attention to the driving rhythm that he describes, and shows, on the guitar. This particular guitar part can also be played by a keyboard player but never should you both be doing it together. During a guitar driven song, the keyboardist should be embellishing the song by adding runs, fills and doing some “donut playing” – playing some bass notes and upper keyboard notes but not so much in the middle range where the guitarist will most likely be (frequency wise). The guitarist needs to be driving this song. He needs to set the beat, the tone, the mood, the tempo and should also start the intro. For a piano driven song, the pianist needs to set the beat, the tone, the mood, the tempo and should also start the intro. The guitarist takes the back seat and adds support, maybe by picking some chord arpeggios or inversions or blending in the background by softly strumming or finger picking the chords or adding an occasional bass run between the chord changes. The guitarist can get away with just striking the chord at the beginning of the measure and letting it sustain until the next chord change since he or she is not responsible for the main beat. The bottom line is that it helps to know if the songs that you are playing are either guitar or piano driven before you start them and to set your support levels from each band member accordingly. Remember that not every band member needs to be playing all the time. By now, I may have angered a few church bass players and drummers. We struggle without you guys; I know, because we don’t have either at our church. The bass and drums establish and keep the beat and the groove going. You guys are our backbone and our musical foundation. We build our rhythms and melodies off of your back drop. We rely on you to keep the timing throughout the song and to fill in some frequencies (especially the bass) that we would otherwise miss. I miss the drummer so much that I’ve been known to strap a tambourine to my foot and tap it while singing and strumming in worship. In the past couple of decades (which is young in term of church music), there has been some really nice music written on the Lord’s Prayer. I was thinking that it would make a very nice themed service to dwell on the Lord’s Prayer. Listed below are a few song suggestions and a couple of other resources. I’m not going to include all the song lyrics because this post would be too long, but you can watch and hear some of these pieces below. I will include Matt Maher’s lyrics because I am particularly fond of them. Michael W. Smith also put a version of the Lord’s Prayer to music which would work equally as well. Our Father, who art in Heaven; Hallowed be thy name. Come and let Your glory, Come and let Your glory fall. Our Father, who art in Heaven; The rocks cry out Your fame. I will sing, sing a new song to the Lord. The mercy of Your name; On earth as it is in heaven. God give us new every morning; Mercy his daily bread. In the name of Jesus; In the name of Jesus we pray. And lead us, not to temptation; But deliver us with Your hand. In the name of Jesus; In the name of Jesus we pray; Father we pray! Let your kingdom come; Let your will be done; On earth as it is in heaven. Every eye proclaim, The mercy of Your name, On earth as it is in heaven. For the kingdom is yours; And the power is yours; And the glory forever Amen. 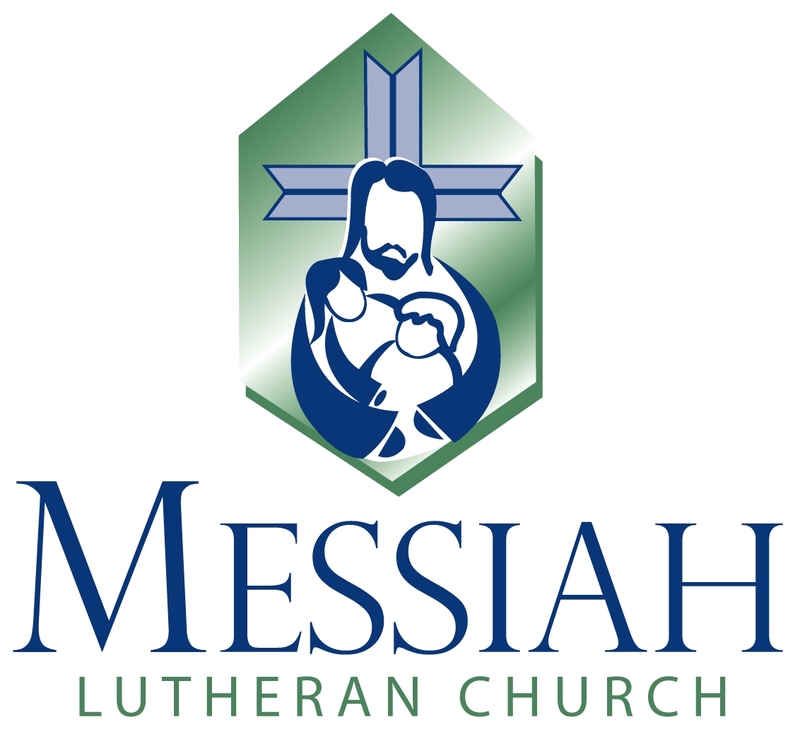 Responsive Version of the Lord’s Prayer (from Pastor Rick Tuttle’s “Seelsorger” file server – this site requires membership; which is free but is limited to those in either the WELS (Wisconsin Evangelical Lutheran Synod) or denominations in fellowship with the WELS such as the ELS. M: Help us to know you through your inspired Word and to live by it as children in your family. C: Hallowed be thy name. M: Give us your Holy Spirit to rule in our hearts, and use us to extend your kingdom of grace to others. M: Make us zealous to carry out you will as gladly as the angels do, and to conform our will to yours. C: Thy will be done on earth as it is in heaven. M: Merciful Lord, since you are the provider of all things necessary for our bodies; fill us with trust. C: Give us this day our daily bread. M: Continue to erase our sins, and help us gladly to forgive and to do good to those who wrong us. C: And forgive us our trespasses, as we forgive those who trespass against us. M: We know the devil seeks to destroy our souls and the world lures us to ruin by appealing to the desires of our flesh. Guard us from the poison of misbelief and the trap of unrepented sin. C: And lead us not into temptation. M: Keep safe our bodies and souls, our property and honor, and above all send the Holy Spirit to preserve our faith in Christ which leads to life everlasting. C: But deliver us from evil. M: For all these petitions we look to you as King of Kings and Lord of your church. M: You alone hold the power to grant our requests. M: We worship you from whom all blessings flow. C: and the glory forever and ever. C: Amen. It shall be so. and we honor all that you have made. and a hunger to see the whole world fed. give us courage to follow your call in this moment. Pastor: With these words God tenderly invites us to believe that he is our true Father and that we are his true children, so that we may pray to him as boldly and confidently as dear children ask their dear father. Pastor: God’s name is certainly holy by itself, but we pray in this petition that we too may keep it holy. Lay Reader: God’s name is kept holy when his Word is taught in its truth and purity, and we as children of God lead holy lives according to it. Help us to do this, dear Father in heaven! But whoever teaches and lives contrary to God’s Word dishonors God’s name among us. Keep us from doing this, dear Father in heaven! Pastor: God’s kingdom certainly comes by itself even without our prayer, but we pray in this petition that it may also come to us. Lay Reader: God’s kingdom comes when our heavenly Father gives his Holy Spirit, so that by his grace we believe his holy Word and lead a godly life now on earth and forever in heaven. Congregation: Your will be done on earth as in heaven. Pastor: God’s good and gracious will certainly is done without our prayer, but we pray in this petition that it may be done among us also. Lay Reader: God’s will is done when he breaks and defeats every evil plan and purpose of the devil, the world, and our sinful flesh, which try to prevent us from keeping God’s name holy and letting his kingdom come. And God’s will is done when he strengthens and keeps us firm in his Word and in the faith as long as we live. This is his good and gracious will. Congregation: Give us today our daily bread. Pastor: God surely gives daily bread without our asking, even to all the wicked, but we pray in this petition that he would lead us to realize this and to receive our daily bread with thanksgiving. Lay Reader: Daily bread includes everything that we need for our bodily welfare, such as food and drink, clothing and shoes, house and home, land and cattle, money and goods, a godly spouse, godly children, godly workers, godly and faithful leaders, good government, good weather, peace and order, health, a good name, good friends, faithful neighbors, and the like. Congregation: Forgive us our sins, as we forgive those who sin against US. Pastor: We pray in this petition that our Father in heaven would not look upon our sins or because of them deny our prayers; for we are worthy of none of the things for which we ask, neither have we deserved them, but we ask that he would give them all to us by grace; for we daily sin much and surely deserve nothing but punishment. Lay Reader: So we too will forgive from the heart and gladly do good to those who sin against us. Congregation: Lead us not into temptation. Pastor: God surely tempts no one to sin, but we pray in this petition that God would guard and keep us, so that the devil, the world, and our flesh may not deceive us or lead us into false belief, despair, and other great and shameful sins; and though we are tempted by them, we pray that we may overcome and win the victory. Congregation: But deliver us from evil. Pastor: In conclusion we pray in this petition that our Father in heaven would deliver us from every evil that threatens body and soul, property and reputation, and finally when our last hour comes, grant us a blessed end and graciously take us from this world of sorrow to himself in heaven.